If you’re involved with a non-profit or charity, then you should be aware of Google Grants, an in-kind grant worth up to $10,000 USD monthly. An in-kind grant is a good or service that is donated, that you would otherwise have to pay money to get. Although it is not cash, it is still a free grant of something that is valuable to your organization. Here’s how Google Grants work. It’s basically the Google AdWords service, offered as a free grant to deserving charities. In case you’re not familiar with Google AdWords, it’s the pay-per-click advertising that you see when you use the Internet. In the case of for-profit businesses, they advertise with Google AdWords by pay a designated amount every time someone on the Internet sees their ad and clicks on it. For some competitive markets, companies are willing to pay quite a bit for each click, so this can add up to a fairly significant amount in an advertising budget when there are many clickthroughs. Google Grants offers this same AdWords services at no cost to approved organizations. 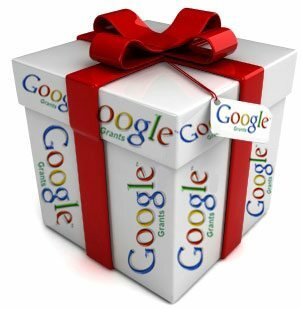 Some have received as much as $10,000 USD worth of advertising in a month, as a free grant from Google. Over 6,000 non-profits are already promoting their websites via advertising on Google AdWords, so this is a significant amount of free grant funding being offered by Google. Here is the process for getting this free grant to advertise your charitable organization via Google Grants. You set up your account, and Google verifies that you are a reputable, designated non-profit with the credentials from the government that show you have been vetted and approved as a legitimate charity. Then, once you’re set up, then your organization can select some keywords and phrases that will bring up your ad when an Internet user enters it as a search term. For instance, if you have a charity to help abused pets, you might designate search terms like “animal rescue” or “stop animal abuse” that would trigger the appearance of your non-profit’s advertisement. Google is providing this service as a free grant for the sake of helping deserving charities get wider exposure and more publicity for their good works. For example, according to Google, the e-commerce site for the United Nations International Children’s Fund (UNICEF), increased their sales by 43 percent over the previous year. Another charity called CoachArt, whose mission is to provide art and athletics programs to children with life-threatening illnesses, reports that they have had a 60 to 70 percent increase in the number of volunteers. Both of these attribute their greater level of success to the Google AdWords free grant. So if you’re either working with a charity, or else know one that mat benefit from this valuable, free grant, it’s a smart choice to take advantage of it. Google makes it easy to get started. Just visit http://www.google.com/grants/details.html, and you’ll be walked through the steps. If you get the ball rolling, you can be responsible for doing tremendous amounts of good for a deserving organization.